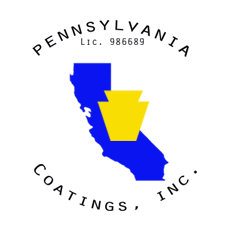 Sonny joined Pennsylvania Coatings Inc. as Director of Operations and qualifier for our new grading division, Pennsylvania Grading Company in 2018. Sonny and his wife Gaye are family friends, and he and Jennifer collaborated to build the infrastructure of the division, which started operations that year. Sonny has 40+ years of experience in grading and construction. After leaving the Air Force after being stationed in Nellis AFB (Las Vegas, NV) some 40 years ago, he obtained his C-12 Earthwork and Paving contractor’s license. He bought his first piece of heavy equipment a year later, and he never looked back. In 1994, he acquired a class A General Engineering license. Throughout his prolific construction career, he has completed a wide range of projects including large shopping centers, military contract work and even solar fields. His forte is in site development, bringing sites from raw land to finished product. He takes great pride in reaching the defining moment for his projects, which is achieving the table top finish on building pads. His encyclopedic knowledge of dirt, soils, and the process makes Pennsylvania Grading Company a subcontractor you can feel confident hiring and rely upon. Sonny prides himself on providing great work from a wealth of experience and working with integrity and honor. Sonny is a man after God’s own heart and serves elementary school students at Centerpoint Church (Murrieta, CA). Most weeks you can find Sonny there on Saturday night teaching kids there about Jesus, and sharing with them important lessons for their lives. Sonny has long worked in youth ministry, and cares deeply about helping students live their best life. He himself is a husband and proud father of 9 children in a beautiful blended family, as well as a proud granddad. You can have faith in Sonny and Pennsylvania Grading Company, his extensive experience in earthwork and construction is only exceeded by the great person he is.